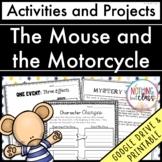 This product is a student packet that goes chapter by chapter. 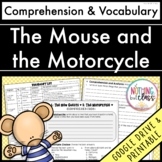 It includes vocabulary words and comprehension questions. 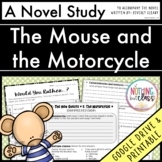 Questions target all levels of Bloom's. 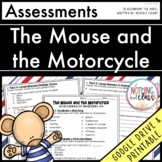 Also included is a written student assessment including vocabulary, multiple choice, sequencing, short answer and constructed response. 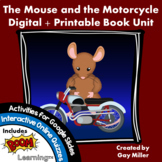 This packet includes 17 pages of chapter comprehension question, one page per chapter, a page of extension activities, a page for vocabulary development, and a page for a character map. 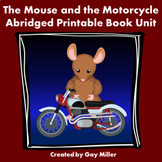 This packet contains comprehension questions for each chapter of The Mouse and the Motorcycle. 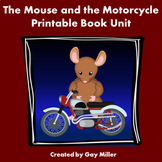 As well, there is an end of book template for a KidPix/HyperStudio project. 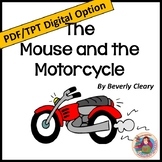 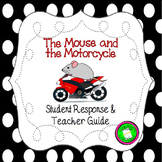 Mouse & the Motorcycle Student Literature Packet & Teacher Guide - CCSS Aligned!